Many ladies love small and compact cars. They are not only easier to maintain but also easy to handle for many. Over the recent past, and noting the increasing number of women who are willing to buy their own vehicles, manufacturers have factored in many impressive features like the smartphone linking, spacious boots, and rear view cameras. As a result, we have many small but very appealing cars. That said; looks alone do not define a good car. Buyers and users alike have many other important considerations to make. There being so many vehicle models that have flooded the market. Buying calls for choosing but just how does one settle on the best? We did our analysis and came up with a list of the top 20 small cars for ladies in 2019. Want A Small Car? There Is One For Every Lady! The affordable price of the Honda Brio is one of the features that make this car model a suitable ride for ladies. Apart from the prices, the hatchback has got sleekly designed and compact dimension which makes it an ideal fit for many female drivers. Like all the Honda models, the Brio has a combines all the new designs like rearview cameras. It also has a spaciously designed interior. Suggested read: Do you need pre approved financing? Though it has a small body, Audi A1 is a strong compact car. Its engine is strong and this makes sure that ladies get the chance to enjoy a memorable drive. Want a car you can ride in with your friends? The Audi A1 can comfortably accommodate two adult passengers in the back seat. The interior design of the Audi a1 is classy with a sleek finishing like that of a luxurious car. The Renault Clio is also an ideal ride for many women. This vehicle has a stylishly designed hatchback that is likeable from the outside, a feature which makes it quite attractive to the ladies. Its interior is relatively spacious which means that as a lady, you will have sufficient space for your items and you will sit in the car comfortably. Even if you are in search of a car you can use for family rides, you can never go wrong with the Renault Clio. As a manufacturer, Honda is on record for releasing small cars that are not only trendy but also classy. Honda Jazz is one of their latest models which have outstanding stability whose performance is as high as expected. The interior of this vehicle is spacious and can be expanded by collapsing the ‘magic’ foldable rear seats. It comfortably accommodates people and their luggage despite its small size. The upright design makes driving this car very comfortable because the interior is designed to create comfortable sitting positions and spaces. Currently, in its third model, the Maruti Swift has many modifications compared to the other two previous models. This small car’s engines are available in either gas or diesel. The Maruti Suzuki Swift is a car that is simply attractive to the eyes. Colours like red are very captivating and would look really nice on women. For ladies who want to make a statement with an awesome small car, the Maruti Swift is a model to really look out for this year. This is another high-end mini-vehicle that ladies should be looking at in 2019. The car incorporates a high-tech modern design and a long-lasting engine. The uniquely designed small body is all that many women would ever want. Hyundai i20 is another best fit for ladies who are searching for a small car with a spacious interior. The interior space of the Hyundai i20 is greater compared to many other small cars within its league. Here’s something else, the car is a low consumer and that means it’s an ideal choice for ladies on a tight budget. This car is simply a refined perk of a small car that ladies would be looking out for in 2019. Complete with an ultra-modern touchscreen info system, this is another top small car for ladies in 2019. Even from an outer view, this car paints a car that is great for single or family drive. Its eco-friendly engine is another reason why ladies should be eyeing this car model in 2019. The engine gives you great performance with power and smoothness into consideration but at affordable prices. The spare parts of a Nissan Note are easy to find in many local shops and this means that you will not struggle so much in the event that a breakdown happens. The Maruti Suzuki Dzire is also a great choice for women in search of small cars in 2019. Though it follows the design of a Maruti Swift, the car has a classier interior design. The engines are the same to that of a Maruti Swift but this model is more sleek and compact. Ibiza is another small car available in the market and that is fit for the ladies. The vehicle is a fun drive thanks to its powerfully designed engine which is turbocharged. The interior of the Seat Ibiza leaves the user with more space compared to other vehicles in a similar class. The car is a low fuel consumer making it practical for many women to maintain without many unwanted budgetary constraints. This car is a thrilling combination of style, fun and affordability. The Mazda2 is a great choice for women who are looking for a small car that will guarantee a great drive on. The small body makes it easier to sneak into tightly arranged parking slots. It has an ample boot space with a capacity of up to 280 litres. The interior design of a mazda2 is finely finished giving the car a classy look and atmosphere. The additional equipment used to accessorize the car’s interior is of good quality giving the car an impressive look. This sedan is arguably one of the good-looking among all the sedan models in the market. It is a great fit for women in 2019 because it is available in either petrol or diesel and despite its size, it’s also a good performer. The fact that is has a provision for auto-transmission makes it even more attractive to women. Among the other features that make this car an ideal choice for women is its affordability. It is because of the low price that it has ranked highly among the best-selling cars of 2019. The Renault KWID is ideal for ladies who like making a statement; its funky look and the fact that it is available in various graphics schemes makes the car to elegantly stand out despite its small size. A lady going about her daily routine in a Maruti Suzuki alto k10 has to be happy. Here is why the car comes fitted with a high-performance 1.0-litre K-series engine which is good enough for daily routine rides. Looking for a hatchback that is complete with an AMT gearbox in 2019? The Maruti Suzuki Alto K10 is the ideal car for you in 2019. The interior is also comfortable giving the driver and her passengers a great ride. The Creta has many classy modifications compared to the previous models by the manufacturer. The carefully designed interior is proportional and comfortably accommodates five people. Yes, you and your girls can get this new ride and your road trips in 2019 are all sorted. The nice looks and availability of two sets of engine choices make this car model a favourite for many young women. The Skoda Fabia is another top selection for small cars for ladies in 2019. This vehicle puts into consideration many features that add up to value for money which in itself is a great consideration for lady owners. Not only is the Skoda Fabia Hatchback affordable to buy but to also maintain. If you are concerned about space, it will please you to know that this model is way spacious than the popular VW. With its low consumption rate, you can use the car to run local errands around town and so on. All these great factors make the Skoda Fabia hatchback an ideal car choice for women in 2019. Women love being in style and the mini hatchback seems to be designed specifically for this fit. This mini car has a sharp impression from the way it is designed on the outside and on its interior. The powerful drive of this vehicle is impressive and the entry model is easy to run. The 3 door mini hatchback is simply pretty and classy. Its prices are also lower compared to many other hatchback designs and it, therefore, is one of the small cars worth looking for in 2019. The Nissan Micra has a carefully refined new look that sends the statement that one is ready to take on the world. What better statement would an ambitious lady want to make in 2019? Replacing the traditional curvy shapes is the sharp creases that create a sporty impression that is very appealing to the eye. The interior design comes complete with a powerful bass stereo system which means you and your ladies can enjoy great music as you have a great ride on this model. The Kia Rio is another small but strongly built car that ladies ought to be looking at in 2019. Not too sure about its durability? Buying this car will have you enjoy a warranty of seven years. Running and maintaining this vehicle is also relatively cheaper compared to its rivals in the market. The stability of the Kia Rio gives you a comfortable ride even when you are on the highways. Enjoy the best driving experience thanks to the cars’ turbocharging engine system. Kio Rio has five doors making its spacious interior easy to access and giving you and your crew a comfortable ride. Last but certainly not the least on our list is the Ford Fiesta Hatchback. As suggested in the name, this car creates a real fiesta; not only for the driver but also for the passengers! The new design is slightly larger compared to the previous models. Though the change is very minimal (looking from the outside), the impact is huge on the interior. The all new ford fiesta comes fitted with a classic dashboard that makes it fit well among many cars above its class. The sharp edges create a sporty impression which many ladies find quite attractive. If you are looking for a small car that will guarantee a comfortable driving position for a lady in your life, I believe you will find the ford fiesta hatchback a real deal in 2019! A small car is friendly in many ways, some of the benefits include the fact that they are easy to drive around many road networks and that they are cheap to maintain. Ladies want to ride something that is within their budget and one that also delivers in terms of looks and space. Manufacturers have taken it upon themselves and are unleashing flashy models into the market, one after the other. Despite not being too pricey, most of these cars have the ability to deliver. As much as it is important to have a car that looks the part, it is more important to have one whose cost of buying and maintaining is within your budget. Choose a vehicle that you can comfortably maintain without straining yourself and also one that can serve your needs. For instance, if you have children, it is important that you consider things like the accessibility of the rear seats and so on. 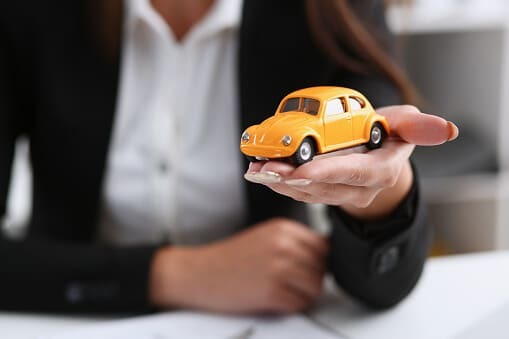 There is so much to choose from but the above are the top 20 small cars that lady owners should be eyeing in 2019. Suggested read: Looking to switch to a luxury car that costs less than $40k? Thinking of owning a sports car under $50k in 2019?